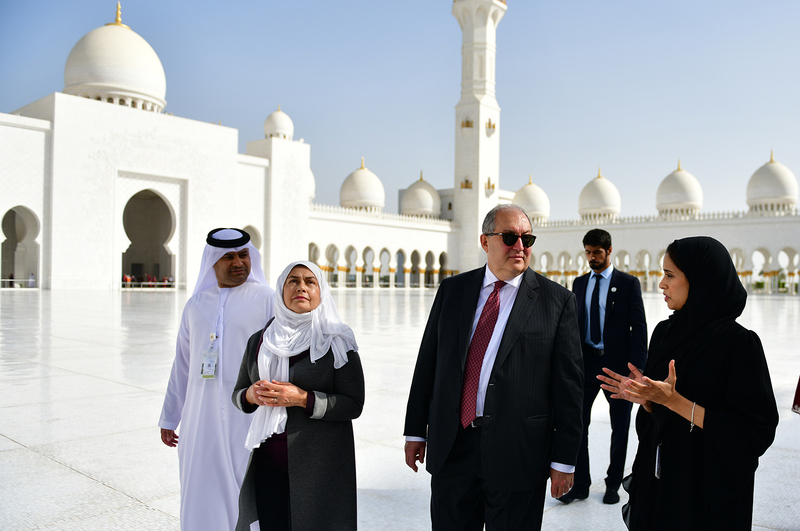 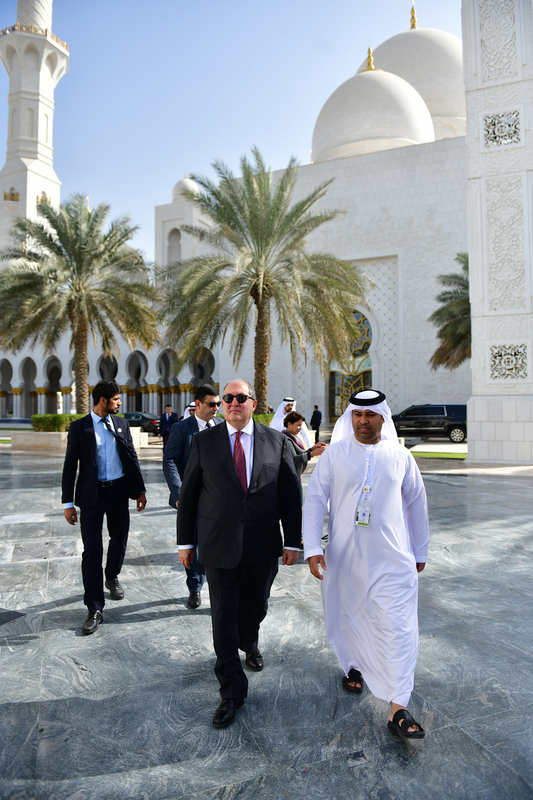 The President of Armenia concluded his visit to the United Arab Emirates with the visit to the Sheikh Zayed Grand Mosque. 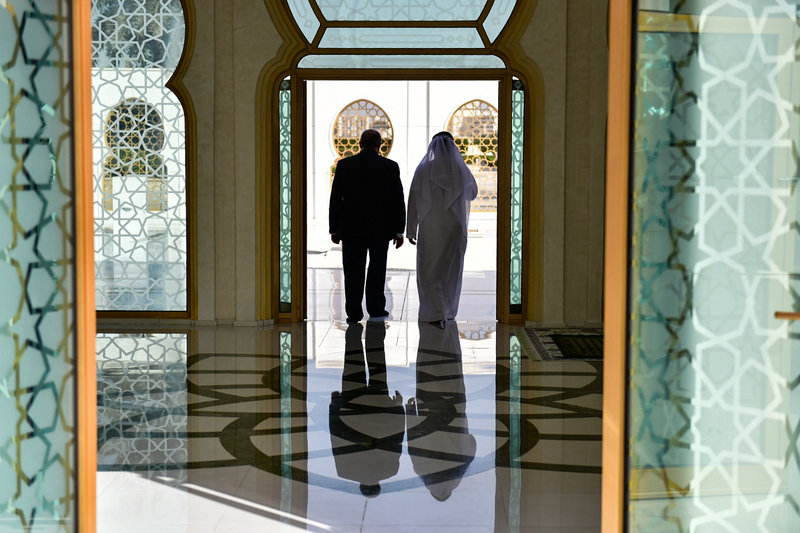 The mosque in named after the founder of the United Arab Emirates Sheikh Zayed. 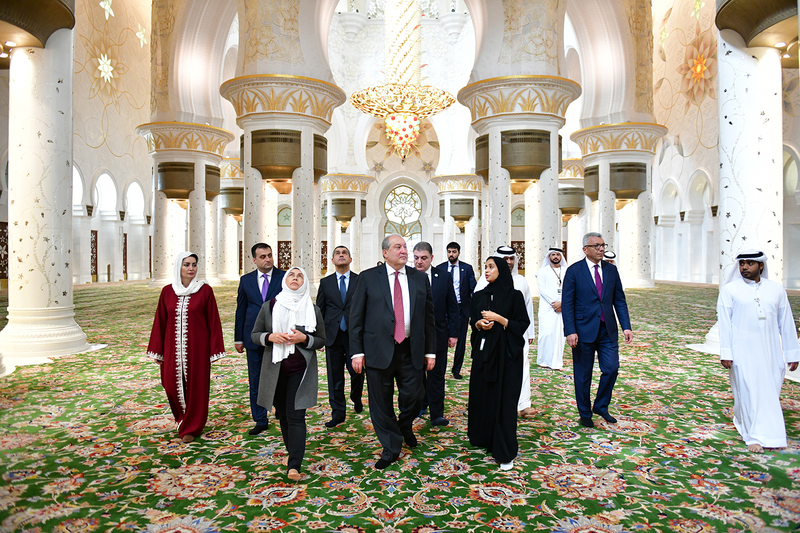 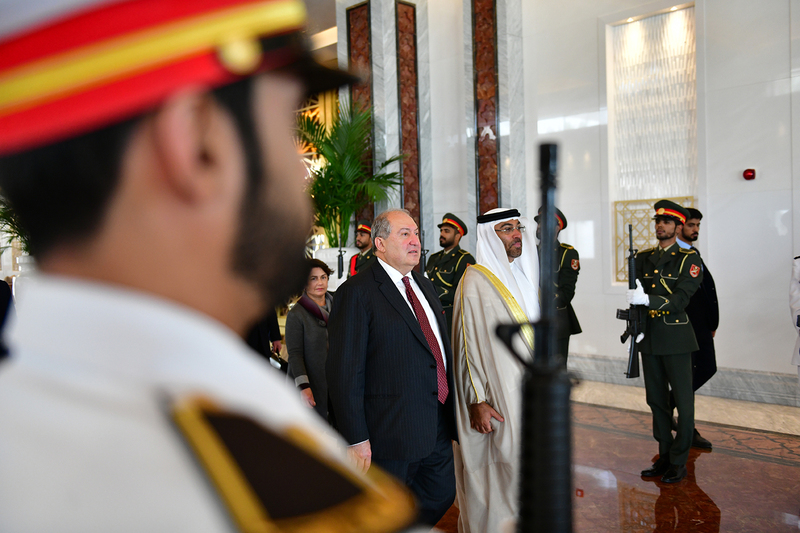 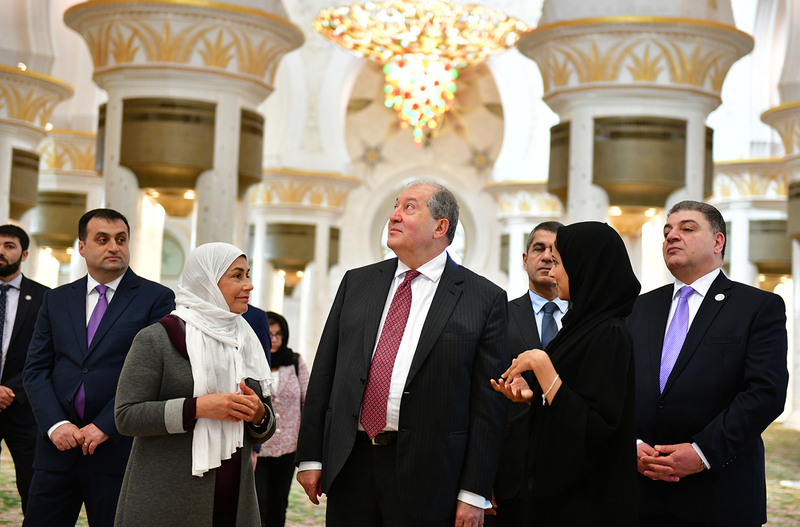 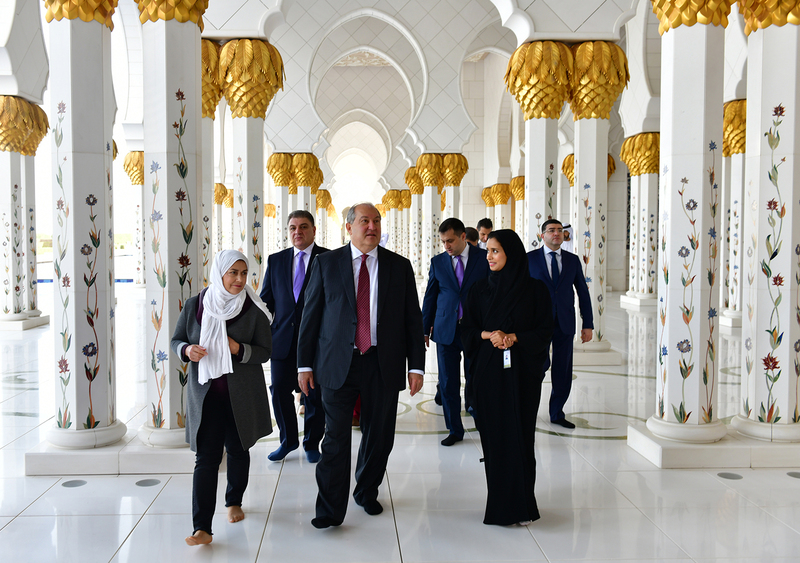 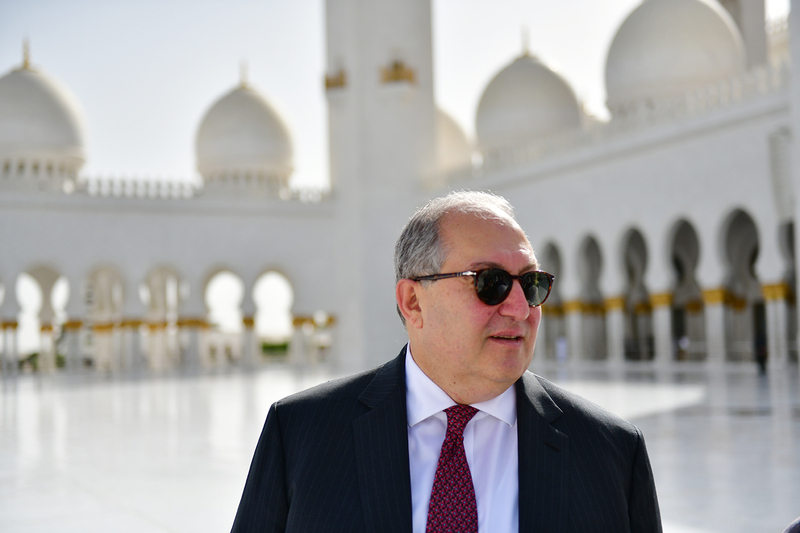 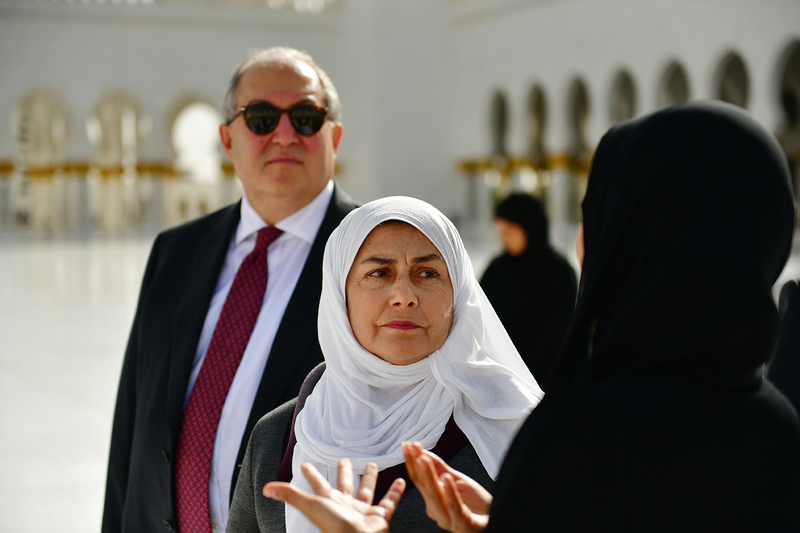 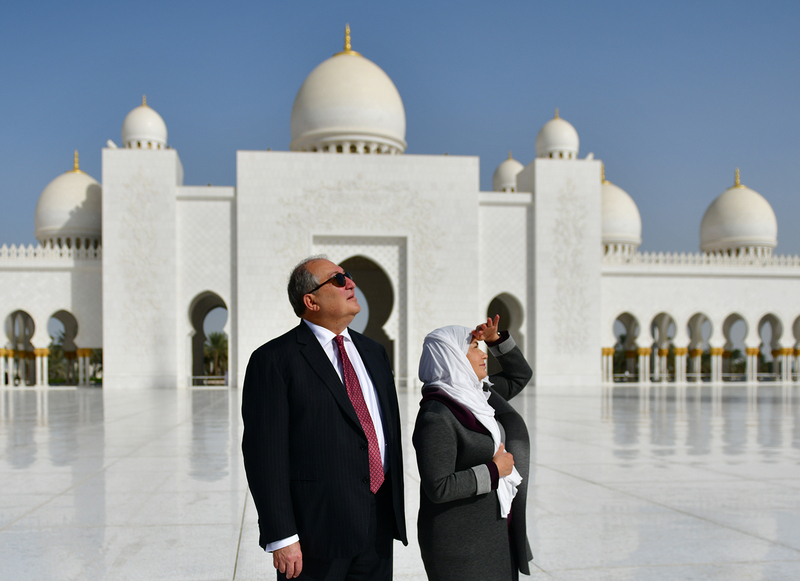 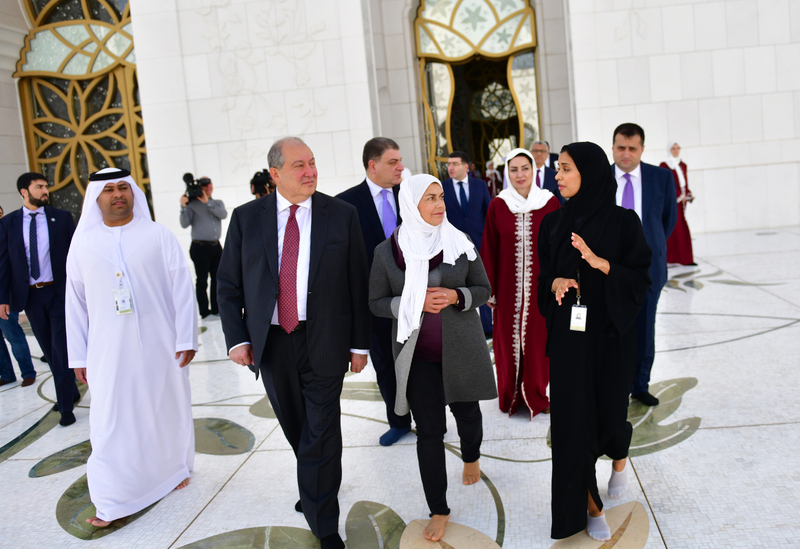 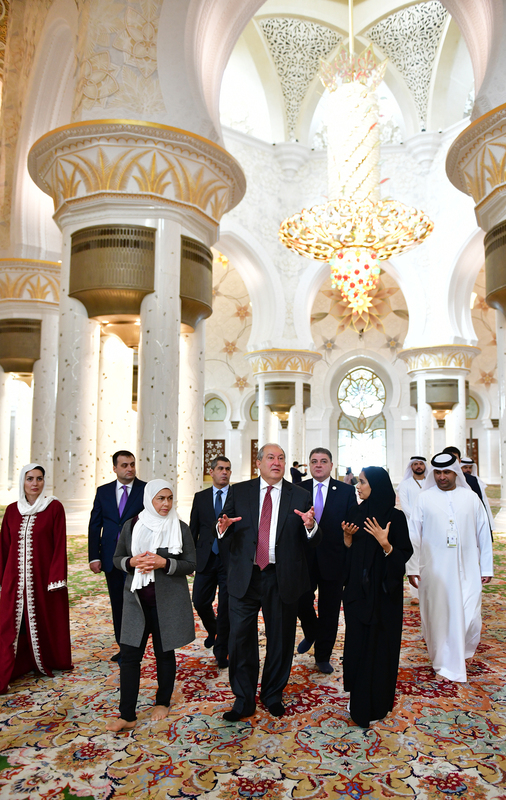 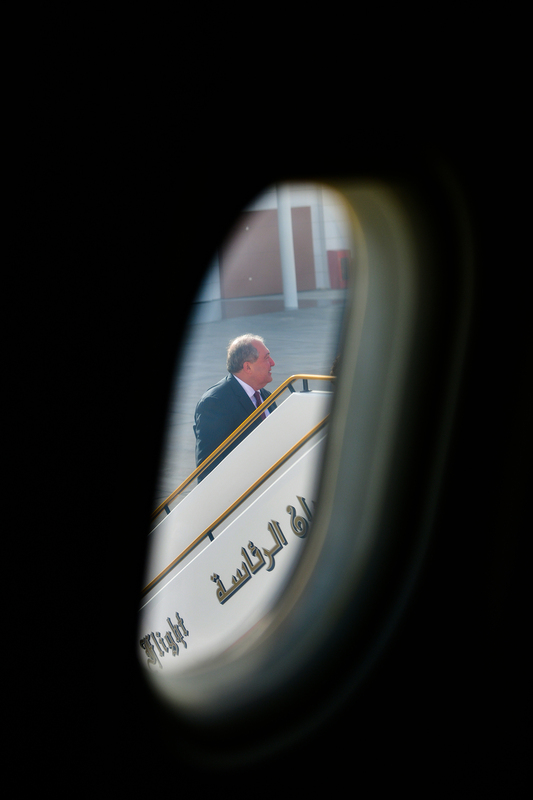 At the mausoleum of Sheikh Zayed bin Sultan Al Nahyan, which is located in the mosque, President Sarkissian paid tribute to his memory. 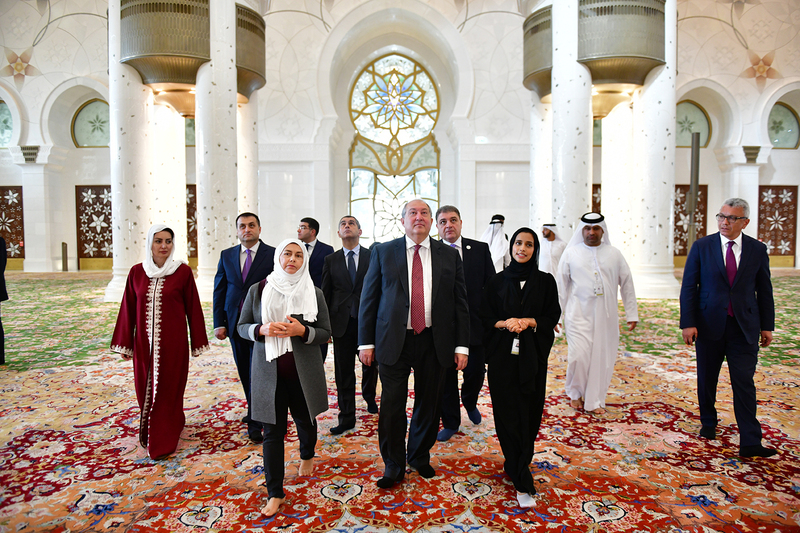 The President made an inscription at the Book of Honorary Guests and presented the book titled The Catalogue of Manscript Qurans of Matenadaran.